The Alpine GRS472A-18 is a bird bath. 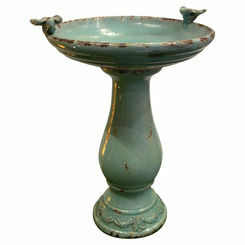 A decorative basin with a black pedestal that attracts friends of the feathered variety for a refreshing bath. 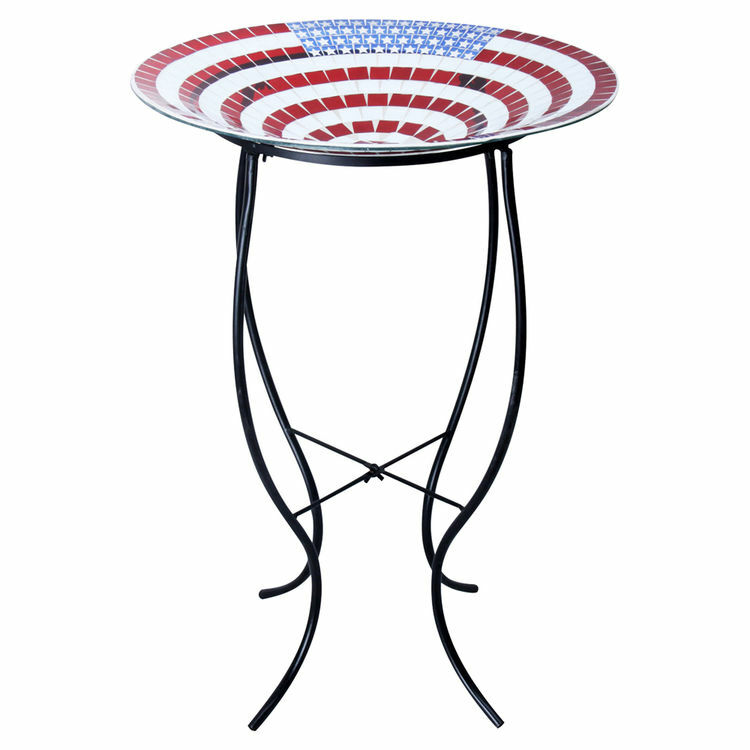 The bowl has a striking mosaic of the American flag. Its multi-colored and metallic elegance is suitable for any location and season. It is 18" long, 18" wide and 27" high. The bowl is 1" deep and easily accessible for all bird types. An essential fixture in creating a lively wildlife garden and adding beauty to a home. Made in the USA by Alpine, a trusted leader in the industry that integrates the finest components to complete the way you live. Shipping Dimensions 27.4" x 16.3" x 21.0"
Shipping Dimensional Weight 52.94 lbs.